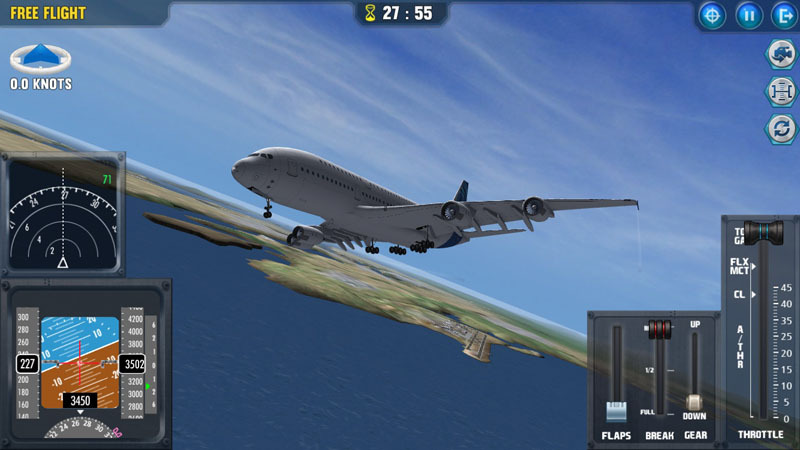 Easy Flight – Flight Simulator is very outstanding game for android. I’ve played and enjoyed it very much. The game is basically to take-off and landing of airplane. You can start with the missions in this game. These tutorial guide you how to run a plane using way points. In the end, you can learn how to take-off and landing. The following image is the real screenshot of this game. The Free flight can be used with purchasing the license that is only in $1. After than, you can enjoy the take off from any airport in the world and select any destination airport. Easy Flight – Flight Simulator give you the 3D environment. This is really very good game. In your start, it is a little bit difficult, but when you start it to play, it will become so interesting. The users, that don’t have Google Play account, they can download APK file to install it directly on Android Phone.